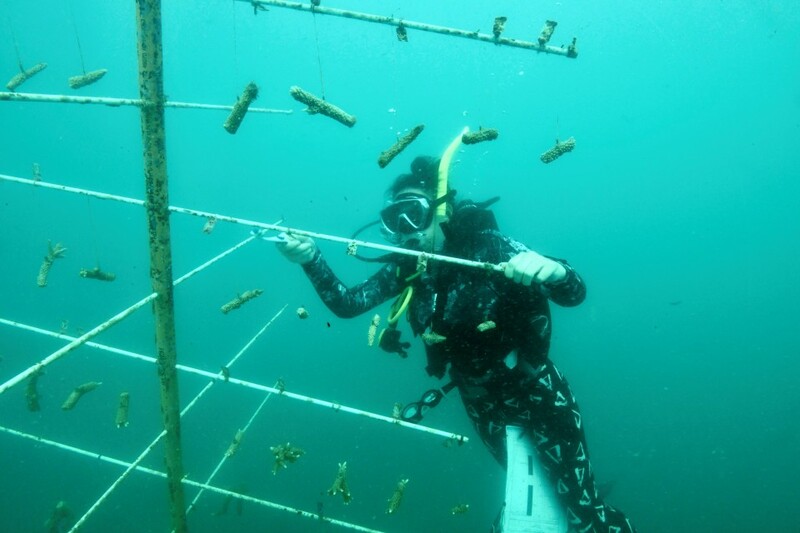 In a process colloquially referred to as "coral gardening," researchers and volunteers with the Reef Restoration Foundation, a nonprofit social enterprise, take cuttings from corals in the reef surrounding Fitzroy Island, and hang them from plastic underwater frames called "trees" to promote quick growth. In the seven months since the first cuttings were harvested, the corals have grown remarkably fast, almost doubling in size, says the foundation's CEO and Strategy Director Stewart Christie. "(When hanging from the trees) they're in this kind of a fattening pen, and they're just using their energy to grow," the 48-year-old sustainable economic development expert said. "When they're on the reef, the corals are fighting and using energy to keep off pests, algae and crown-of-thorns starfish," he said, referring to a coral-eating predator that can devastate reefs when in plague proportions. The foundation's cuttings are able to grow quickly thanks to the volunteer divers who affectionately tend to the floating trees, using bamboo toothbrushes to brush away algae and monitor the cuttings' progress. 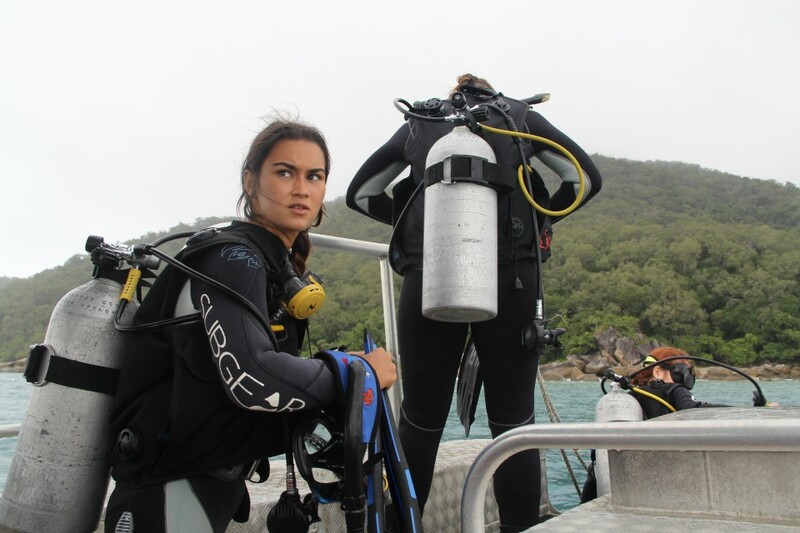 Lovis Hinz is one of the 50 divers who travel to Fitzroy Island once every seven to 10 days and says working on the project has changed how she sees the reef. "It's so incredible watching them grow," said the 21-year-old German. "We talk to them while we're cleaning them!" Currently, the foundation has 10 trees submerged in a coral nursery off the island's coast, with each tree holding between 80 and 100 pieces of coral. Once the final location of the newly "fattened" corals is approved by the Great Barrier Reef Marine Park Authority, Christie's team will reattach the cuttings to the reef using an underwater glue. Christie says the process mimics what happens naturally when coral branches break away from the reef and start re-growing in a new area. But oftentimes, that isn't the case. "Often what happens is the coral will break off, tumble along and then will get covered in sand and sediments and die," he explained. 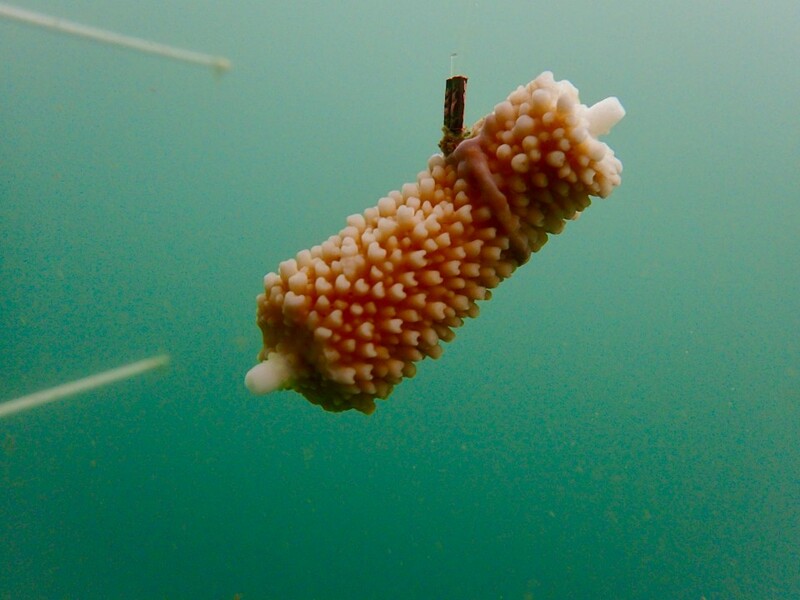 "So what we're doing is going 'OK, we're going to strategically place that piece of coral in a place where it will take and grow more successfully'." 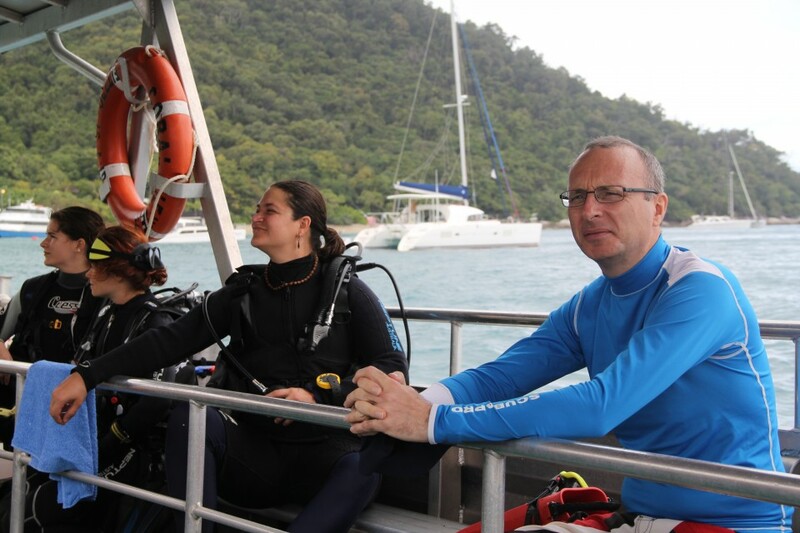 Christie and his team took cuttings from corals that were more resilient to the back-to-back bleaching events that damaged parts of the Great Barrier Reef, including the reef surrounding Fitzroy Island, in 2016 and 2017. Coral bleaching occurs when high water temperatures cause coral polyps to expel small, colorful algae living within their soft, translucent bodies. It is considered one of the biggest threats to the Great Barrier Reef. While bleaching itself is not a sign of coral death, back-to-back events make it more difficult for polyps to regrow and support the diverse ecosystems that depend on the reef. The reef also plays an important role in supporting the local economy, which is why Christie and his team partnered with the local tourism industry to encourage businesses to take an active role in caring for their assets. A report released by accounting firm Deloitte Access Economics in 2017 found the World Heritage site contributes roughly A$3.4 billion ($2.5 billion) to the Queensland economy through tourism alone, and supports approximately 64,000 jobs nationally, almost half of which are based in Queensland. Already, tourism companies, including Japan's JTB Corp., have sponsored whole coral trees, but Christie hopes individual tourists will also be able to sponsor their own coral cuttings in the future. "The Great Barrier Reef is so vital to our community," Christie said. "The message going out nationally and internationally is that the reef is either dead or dying," he said, explaining that such sponsorship can help visitors to develop a personal relationship with the reef. "What we want to do is show that even on a small scale you can make a difference." Volunteer diver Julie Beauchet says friends and family in Europe were already of the opinion that the Great Barrier Reef was "dead." "Lots of people in France said don't bother (going to the reef), it's all white (from bleaching)," the 30-year-old said. Beuchet and fellow diver Hinz believe that media coverage which focuses heavily on the impact of climate change on the reef inadvertently promotes a negative image of the world's largest living structure. The project is still in its early stages and is incredibly time and labor consuming, Christie admits. But he hopes that within a few years the team will be able to grow and replant roughly 25,000 corals per year and help bring damaged sections back to their former glory. "There is a really healthy outlook for the Great Barrier Reef, so please don't give up on it," he said.